In this episode, hosts Lauren Gerber Ms. Ed., PSY. D. and Becca Lory, CAS, BCCS speak with Pamela Kent. Pamela is both an American Kennel Club Evaluator and a Therapy Dogs International Evaluator, and is the person that trained Dr. Gerber’s therapy dog Gio. 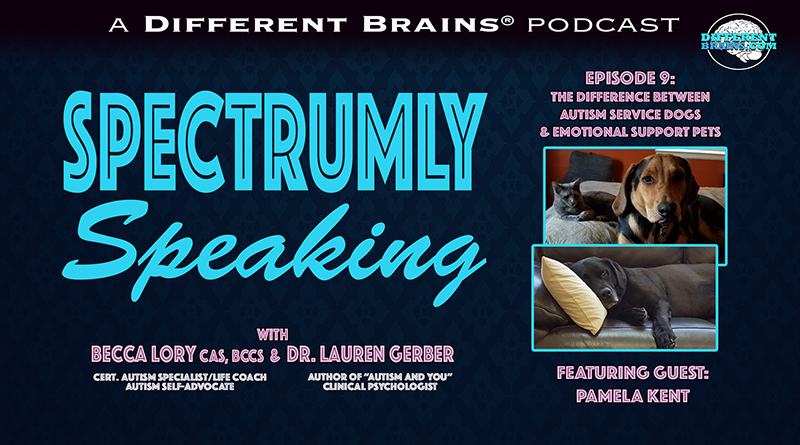 Becca, Dr. Gerber, and Pamela discuss the differences between emotional support dogs, service dogs, and therapy dogs, the role animals other than dogs can play, the needs a service pet can serve for a person on the autism spectrum, and how to battle the stigma of using a support animal. (37 mins) In this episode, hosts Lauren Gerber Ms. Ed., PSY. 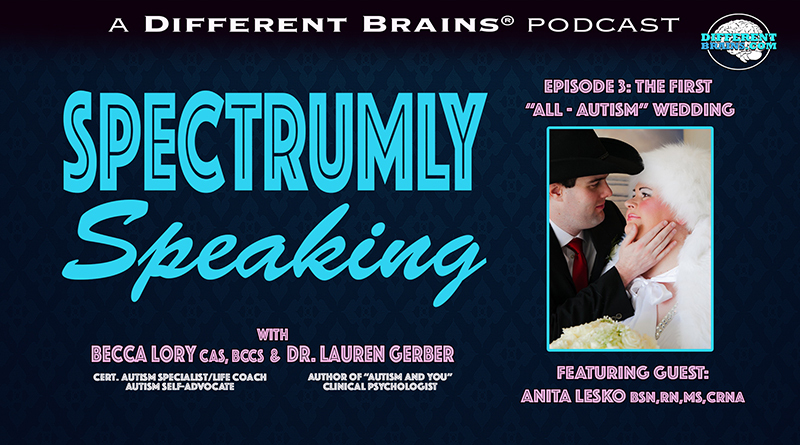 D. and Becca Lory, CAS, BCCS speak with Anita Lesko- a Certified Registered Nurse Anesthetist diagnosed with autism at the age of 50, and the bride of the first ever "All-Autism" wedding. 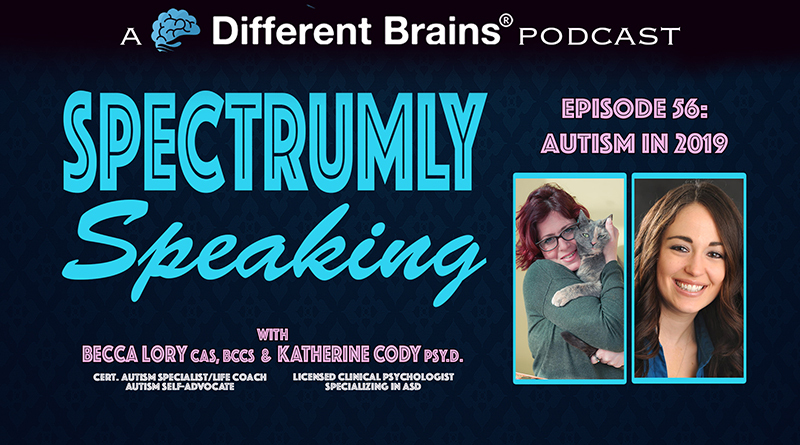 (14 mins) In this New Years mini-episode, hosts Katherine Cody, Psy.D. and Becca Lory, CAS, BCCS continue an annual tradition and discuss what they think the best moments for the autism community were for 2018, and what they hope 2019 has in store.